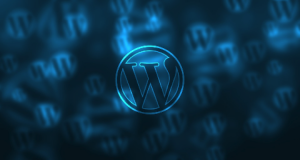 Since 2003, WordPress has been offering individuals with an open-source, cost-free, and easy platform for blogging. Considered as one of the most popular and BEST blogging tool in recent times, WordPress has provided plenty of opportunities for developers to enhance SEO, functionality, and security. You can also take advantage of various plugins to boost the range of custom features and functions enabling users to tailor websites according to their needs and requirements. However, with thousands of WordPress plugins available, it can be frustrating to find one that suits your requirements. If there is anyone that has limitless insight into what people are thinking and searching for, it is Google. What better plug-in to use for your WordPress site that is created from the worldwide known search engine giant? This tool enables users to track and monitor traffic in real-time, split into three main areas. The first displays total visitors on your website. The second gives info regarding traffic sources (social network, direct access, referrals etc). The third contains info on the most visited pages of your site. When it comes to optimizing your site, you need to place strict emphasis on the usage of proper, relevant, and targeted website on your blog. Keyword stuffing is not favored anymore and every business must be creative. Consider using Google’s latest Keyword Planner tool to instantly search and select the right keywords via important statistics that include estimated search volume, number of results, and difficulty level. With an average rating of 4.7 and over 7 million download, the WordPress SEO by Yoast is one of the best plugins available today. It is known for its easy-to-use platform that optimizes your website and posts for Google. It is a complete website optimization package, which does everything from adding descriptions, titles to your blogs, creating XML sitemaps, controlling indexing of your blog, and equipping customer RSS footer. The Ultimate Video SEO is a must-have WordPress plugin for your website. It automatically generates the schema.org video object mark up in your blogs and enables you to show video thumbnails on SERPs, increasing your visibility. Start creating new tutorials by a few clicks and use the various features to make your video more attractive and appealing for the audience. Majority of the searched made on Google are related to graphical pictures and images. One of the best ways to increase the likeability of your site and improve its appeal is to add relevant images to your content, articles, and blog posts. Just like keywords work, if you rank third or fourth position on image search, you will be able to drive thousands of extra visitors to your website, hence leading to targeted traffic and increased revenue and sales. If you want to take your WordPress site to the next level, consider using these five plugins.